It’s the question heard ‘round the conference world for generations. Professionals gather at networking events, clutching oversized cookies on paper napkins, working the room and hoping against hope that the mundane repetition elicits a surprising–or even career-changing result. But more often than not, minglers go home with a stack of business cards followed by a flood of LinkedIn requests and a set of predictable “great meeting you” emails. In other words, disappointed. But it doesn’t have to be that way. 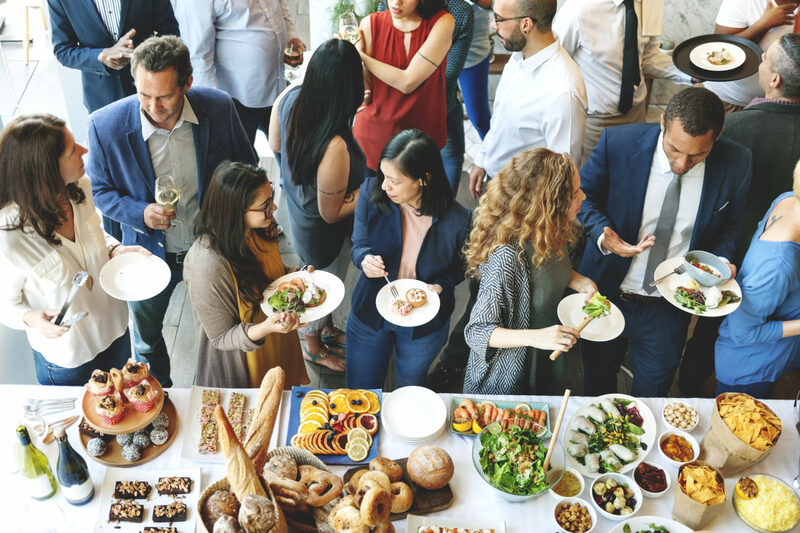 Making your networking reception a success just requires a bit of creativity, some careful planning, and some healthy boundaries. Chances are that 90% of the networking sessions you’ve attended fall into this category. Likely sponsored by a deep-pocketed brand, beer, wine, and appetizers flow freely while extroverts get their fill and introverts face their greatest fears. The free-for-all networking event does have a plus side, and its name is serendipity. No amount of organization, structure, or plan can replicate the lucky strike of two parties locking eyes across a room and forging a professional relationship, cold turkey. But for all the drawbacks (e.g. wasted time), you may be better of thinking outside the box and giving your attendees some handrails for making their connections. For anyone who’s experienced the pain of being stuck on the receiving end of a long-winded oversharer, speed date networking is the great escape. A host keeps watch of the time (typically 5 minutes), while guests sit one-on-one at long tables, introducing themselves and swapping contact information. When the timer goes off, mouths close and movement continues. At the end of the night, dozens of connections have been made and the chances of career-changing pivots has increased exponentially. For professionals of a certain caliber, cold meetings just won’t do. If your conference or gathering attracts power players, consider doing to the heavy networking lifting for them. Coordinators can reach out to gather information regarding any colleagues or competitors they’d like to meet, then arrange times and places for the meetings to take place. Think the G8 summit, but for professionals. If a coordinated meeting is too much to administer, but cold networking seems to silly for your guests, a more educational method is the “TED Talk” method. Give a reasonable number of attendees 5 minutes each to present to guests on their area of expertise. At the end of the evening, guests will gravitate to the speakers most relevant to their interests. Sometimes, shared experiences are the best bonding agents of all. A charitable fun run or team house building project (e.g. Habitat for Humanity) not only offers the community a valuable service, it can forge relationships between those serving. And now, a note about the tech crowd. For every hand-shaking, baby-holding Bill Clinton in the world, there’s a number-crunching pragmatist thinking of a more efficient way to make connections. Luckily, technology has caught up with the futuristic dreamers, empowering the less gregarious among us to make connections with ease and efficiency. Consider the smart badge movement: name tags that send contact info wirelessly, freeing guests from the pockets of business cards and equipping them with what the 21st century loves best: data. Leading brands include Traco, eventBit, and Loopd.